Humans were designed to be active – “to play”. It lifts our spirits with a happy high and takes us away from our routine work stress, screaming children, depression and worries. Play helps us to focus and concentrate and removes the human suspicion, making us feel better and improves our behaviour towards others. Play is no stranger to the young – indeed children learn through play. But we adults, whether men and women, have literally forgotten how to play? Not surprising that for some people, play time is down to almost zero. Ahh... the worst aspects of “modern life”. At Cocoon, we define modern living through practicing yoga in a playground environment. Yoga is conducted in a cosy, buddy and serene environment to ensure that each individual’s playing needs are met. We all know that play also makes us feel good. A regular 60 minute play session can have a profound impact on our health and well being. Yoga is essentially a gentle exercise. Health and fitness are attained through proper exercise, postures, stretches which tones the muscles and ligaments, enhances the flexibility of the spine and joints, and improves blood circulation. This is really important for people who don’t get regular exercise. At Cocoon, we perform yoga routines so that our bodies release a cocktail of hormones and chemicals that have startling positive effects on our system. Stress is reduced, blood pressure drops, depression is lifted and our immune system is boosted. Yoga is a non-religious, non-denominational practice of attaining healthy body, mind and soul, with an emphasis on dharma. Dharma is about uniting people. Getting people together. Apart from health and fitness reasons, yoga can do more for our mind and soul. Yoga breathing exercise teaches us on how to control our mental state. This helps us achieve a calmer and more focused mind, and increases our energy level. The meditative aspect of yoga may also reach a deeper, more spiritual and more satisfying place in our hearts through inner peace which needs to become an essential part of our daily lives. Yoga combines meditation exercise and yoga breathing exercise to give you the health benefits of play. Yoga exercise almost always leads to real uplifting of the spirit, especially when practiced in a group. Yoga can become a popular way to get in shape, release stress and enjoy good health. At Cocoon, we welcome anyone, young or old, men or women in whatever present conditions to enjoy the fun and benefits of yoga. One of the most attractive aspects of yoga is that you don’t need to spend a fortune on expensive equipment and apparel to begin the workouts. In 2005, Iza Liyana RYT®, a Malaysian and an International Trained Yoga instructor, searched for a way to bring the benefits of yoga to those around her. In a flash of inspiration, Cocoon was born. Thanks to Iza, countless people all around Klang Valley and in Malaysia today enjoy the benefits of a daily dose of yoga at Cocoon or even at their workplace. 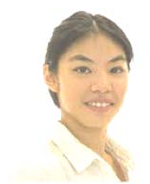 Iza is registered with Yoga Alliance, USA and has been operating since 2005. 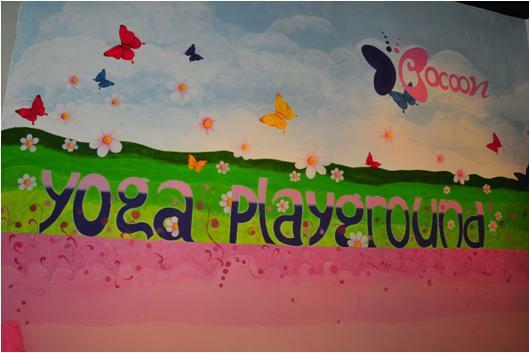 It is a yoga center dedicated to build yoga playground for all ages and focus on dharma. In addition, at Cocoon, we organize annual yoga events to raise funds for the needy and under privileged. This is a form of corporate social responsibility as the founding members practices the true spirit of karma yoga. Fezia Tyebally specializes in working with adults and children with special needs, and value adds her treatment by incorporating her other areas of specialization such as sports therapy massage and therapeutic listening. Fezia attained an advanced level as a sound therapist in the Samonas and Therapeutic Listening programmes. In addition to these very specialised therapy skills, Fezia also has a passion for yoga and is trained as a Kundalini Yoga teacher, under Guru Dharam Singh of the School of Kundalini Yoga, in U.K.
Han Ni was a US Alliance Teacher since 17. A Teacher Trainer with iSKY, she is also a 500 hr certified teacher of Kundalini Yoga, Hatha Yoga, Prenatal Yoga and Kids Yoga. She moved back to Malaysia after graduating from Law School in the UK. Together with her mom, they opened Inner Peace Yoga Circle in 2009. She is currently residing in Kuala Lumpur and travels throughout Malaysia and South East Asia to deliver Workshops and Yoga Teacher Training under the International School of Kundalini Yoga. Since 18 Han Ni has trained with Guru Dharam Singh (UK & Sweden) at iSKY, Karta Singh at Amrit Nam Sarovar School in France and Gong Meditations with Gong Master Sotantar. She was also one of the first students trained by Sat Santokh Singh (USA) to lead Healing the Wounds of Life Workshops, a modality for healing traumatic experiences. She is also offer Holographic Healing Analysis, Pranic Healing and Raindrop Therapist, with a Diploma in Aromatherapy from CARE Institute in the USA. Her teaching comes from her heart to all hearts, thus creating an open and loving environment for her students to grow and glow.